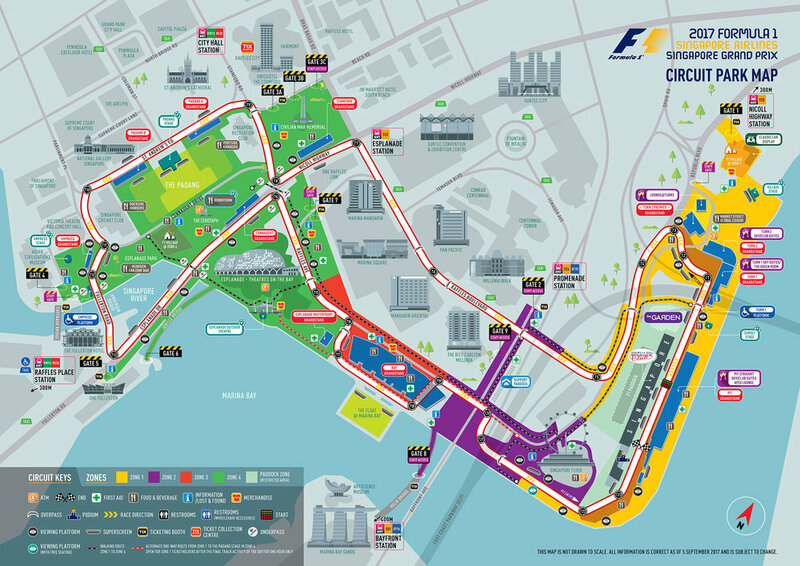 The Marina Bay Street Circuit in Singapore is conveniently located near six subway stations and is a stone's throw away from numerous five-star hotels, cultural sites, entertainment hubs, shopping malls and food outlets. 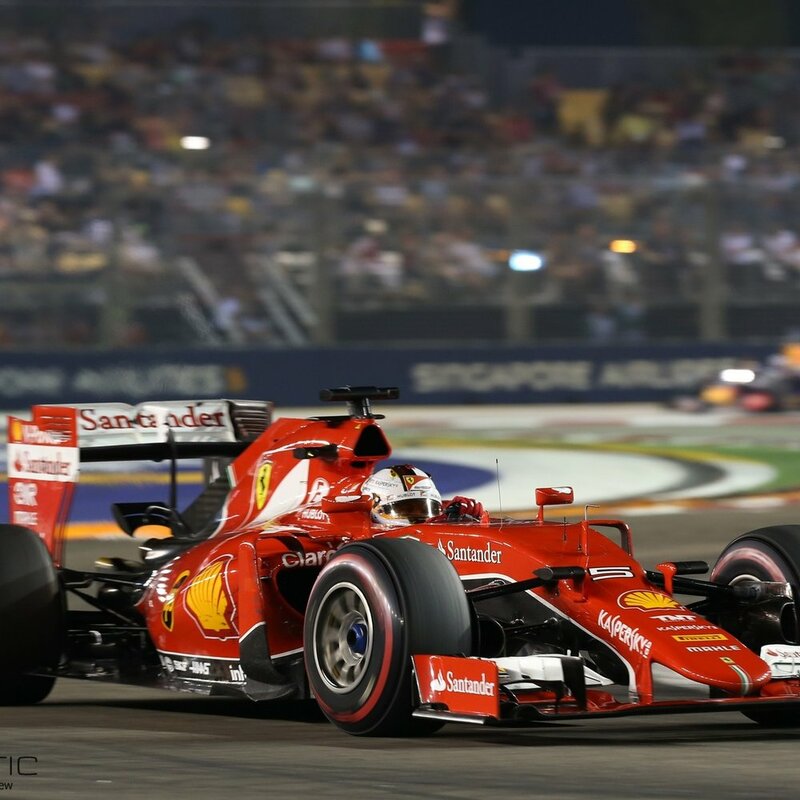 The race-goer's weekend schedule is filled with daytime off-track activities, and when darkness falls, the sights and sounds of the Formula One race keep their adrenaline pumping. In addition to the thrilling on-track action, look forward to a specially curated off-track entertainment line-up comprising world-class international music acts, dazzling productions and delightful roving performances throughout the 799,000sqm Circuit Park. Experience the luxury and elegance of the Formula One Paddock ClubTM as guests are treated to world-class gastronomy, high-octane race action and spectacular entertainment. 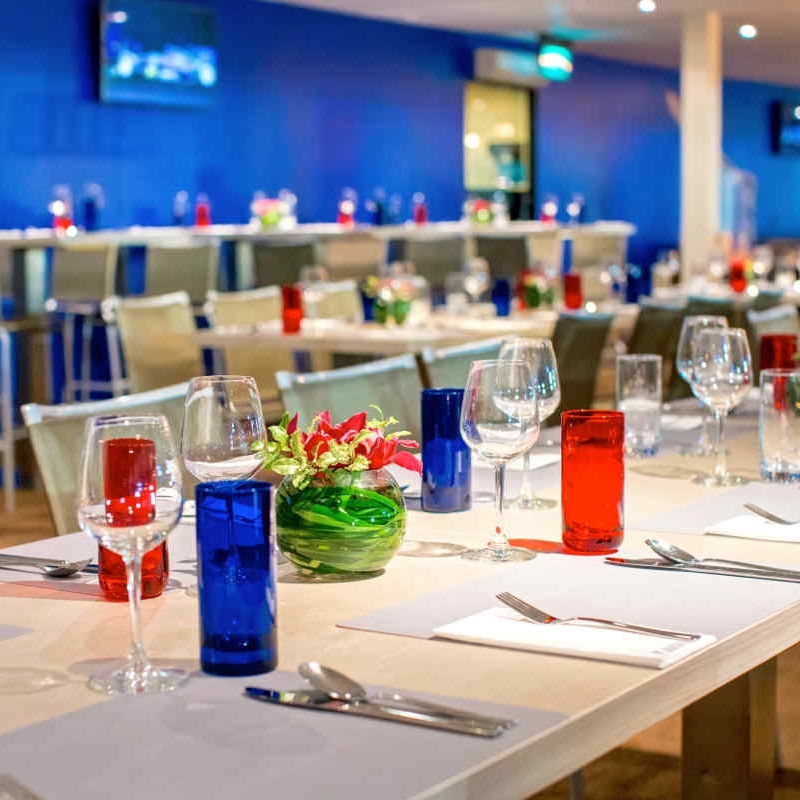 Situated above the pit garages, the Formula One Paddock Club offers a privileged panoramic view of the Pit Straight, starting grid, race team hospitality suites and the Paddock. All Paddock Club suites have wall-to-wall windows overlooking the Pit Lane and are fitted with luxury furnishings and plasma screens for the live race feed. Guests can also enjoy an up-close view of the Formula One cars as they exit the Pit-Lane − mere metres away from the exclusive Paddock Club grandstand. Situated on the 2nd level of the hospitality building, the Club Suite offers an excellent location for the race. With an indoor air-conditioned dining area and a private viewing balcony, the Club Suite has a five-star menu and a dedicated premium bar. Located at the end of the first set of turns, the Turn 3 Premier Grandstand offers views of the cars competing for overtaking opportunities at Sheares (Turn 1) before braking to 90km/h as they tackle Turn 3, pick up speed and go full throttle down Republic Boulevard. Spectators will also be able to see the Formula One cars rejoin the action on the track as they exit the Pit Lane at Turn 2. The Turn 3 Premier Grandstand offers an upgraded experience for those who want to be close to the action while enjoying more exclusivity and convenience. Each ticket includes two meal vouchers, two snack vouchers, and five drink vouchers per day, which can be redeemed at the premium food and beverage facilities adjacent to the grandstand or the dedicated bars. Patrons will also receive an amenity pack daily, with quality earplugs and a poncho, among others. The Lounge @ Turn 3 offers guests the perfect environment to take a respite from the hustle and bustle of the day’s activities. Here, guests can relax and enjoy free flow of wines, beers and soft drinks in air-conditioned comfort between races or follow every second of the track activities via live television screening indoors. 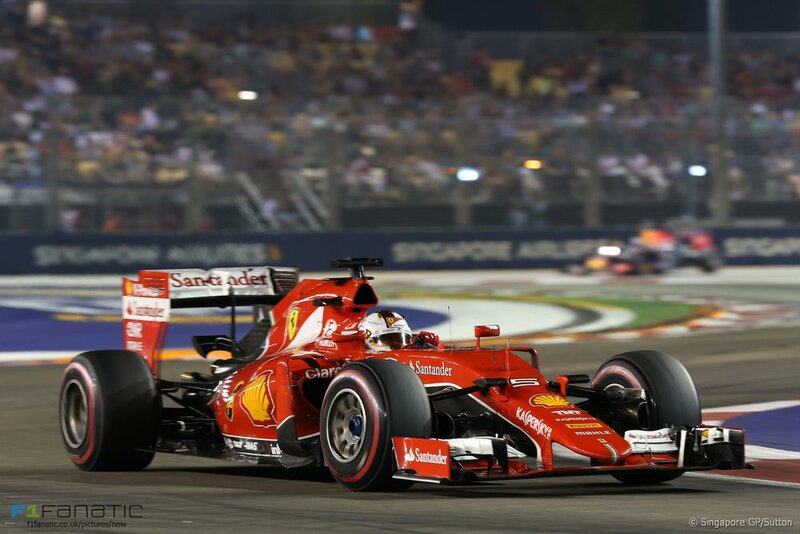 To get even closer to the race action, head outdoors to the Turn 3 Premier Grandstand just behind where guests can witness the adrenaline pumping action along the first three corners of the Marina Bay Street Circuit. All guests will get assigned seating with wider and cushioned seats at the Turn 3 Premier Grandstand. Lounge @ Turn 3 guests also enjoys delectable bento meals and snacks throughout the race weekend at the alfresco dining area right next to the track. Patrons will also receive an amenity pack daily, with quality earplugs and a poncho, among others.